Helio USA Inc. Stimulators and Point Detector - Therapeutic Equipment - Our Products Helio USA Inc. Designed for accuracy and simplicity of use. No switch or dial to press. 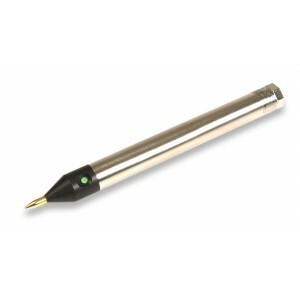 Simply position probe tip around target area and hold or press it down as show in the below photos. White Stick for finding landmarks, 0 point, Sciatic and Vertebrae points (See BC-566 book on p. 79). Works well for both ear and body points. Point detection is signaled by light. 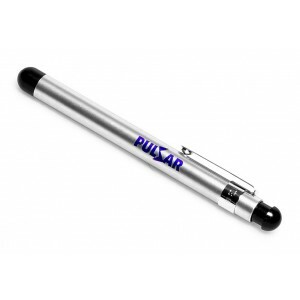 Rapid flashing of light indicates close proximity to the point. Steady green light indicates a point has been located. 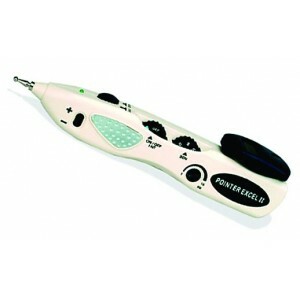 Unit includes 1 each of point finder, white stick, ear probe tip, body probe tip, detachable hand-held probe, 6V battery, and protective case. Meter reading increases in relative value from 1 to 500 (at max sensitivity setting) due to a lowering of the electrical resistance of the skin at the acu-point lacation. Point lacation is indicated with sound and a pilot light on top of the unit. Point location sensitivity is adjustable. Push-button adjustable stimulation offers immediate point treatment. Set "Int" dial to blue zone for micro-amp current output. 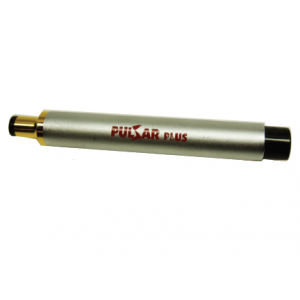 Includes 2 probes tips: ear 2mm (0.08") and 4 mm (0.16"). Other standard accessories include 9 volt battery, carrying case and instructions.